Novice and experienced hobbyists to brew on-site Saturday, May 6. April 13, 2017 (Temperance, MI) – Forest View Recreation Bar & Grill will host area homebrew hobbyists Saturday, May 6, as part of the second local, multi-site Big Brew Day event registered with the American Homebrewers Association (AHA). The event, sponsored by Forest View, Frogtown Hoppers Homebrew Club and Swig Restaurant, will bring together area homebrewing clubs, individual hobbyists and beginners to brew various styles of beer at two sites – Forest View in Temperance, and Swig Restaurant in Perrysburg. AHA Big Brew Day is held the first Saturday each May, when thousands of homebrewers around the world make their favorite styles of beer using several methods of brewing. At noon Central time, May 6, homebrewers raise their glasses of homebrewed ales and lagers for a simultaneous toast to homebrewing, a hobby that hundreds of thousands of people all over the globe enjoy. More than 10,000 beer enthusiasts from North America, Europe, Africa, Asia, South America and Australia are expected to participate this year. Restaurant respectively. In addition, the club is expanding festivities to “Big Brew Weeks”; two club members will be hosting both pre- and post-event brew days to provide club members a total of 4 options. There is a standing and open invitation to the general public and any homebrewers who wish to join in, at all locations and dates. Brewers will be using several methods of brewing during the event. Brewers will begin set up at 9:30 AM. All brewing will be complete by 4 PM. It’s Easter weekend and the family is thrilled to be going to Disney World for spring break. You have your airline tickets, car rental is all lined up, the hotel and theme park reservations are made..time to get out of here! You arrive at the airport in Orlando and rush to get your rental car. The clerk behind the counter turns the rental car contract around so you can read it, initial it, and sign it so you can be on your way to Florida fun! The clerk asks if you would like to purchase collision waiver for $20 per day so you don’t have to worry about being responsible for any scratches, dings, or accidents while renting their car. Your memory goes back 20 years ago when you rented a car and you asked your insurance agent if you need to take out this waiver thing..and you remember them telling you it was not necessary because your full coverage you currently carry follows the rental vehicle so you are all set..so you think. Two days later you go to leave for Universal Studio’s and you notice a hit and run driver has backed into the front of your car which damages the radiator and causes 6,000 in damage. The car will be out of commission for 30 days. You report the damage to your insurance agency and they pay the full amount minus your $500 deductible. 60 days later you receive a bill from the rental car company for $4,500! The first $1,500 was for LOSS OF USE (because the rental car company could not rent that vehicle for 30 days and lost $50 per day in rental fees) and the next $3,000 was for DIMINISHED VALUE (the rental car company was supposed to get $25,000 from Ford when they turned that 2017 Ford Taurus SHO back in on May 1st and because of the damage the value went down $3,000). What!! AM I COVERED FOR THIS?? In next month’s issue I will dive into this further. In the meantime..if you are planning on renting a car within the next 30 days you better contact your agent to see how your auto policy responds or most likely does not! 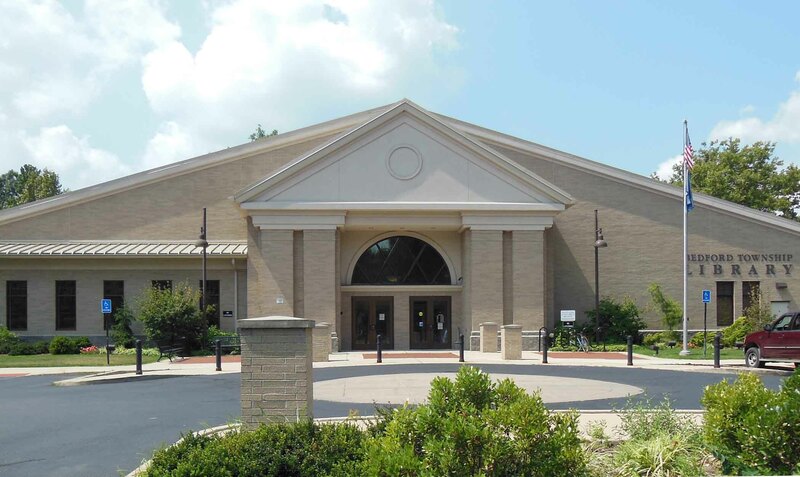 The Monroe County Library System provides in-library as well as remote access to numerous business-related databases. From the library’s homepage at mymcls.com hover over the Research tab and then click Online Resources from the menu. Scroll down to the Business and Law category to find a list of business databases subscribed to by the library. 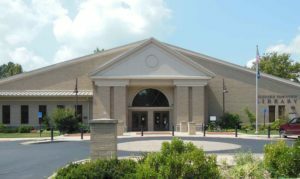 Reference staff at the Bedford Branch Library are available to help users navigate the products. Using these databases from home requires a password. All passwords are located in our Online Resources Brochure, which is available at any of our 16 branches. You can also call your local library for more information. Gale LegalForms – This user-friendly resource is the most extensive free forms site available to library patrons. It contains thousands of official legal business forms, as well as forms useful for real estate, general litigation, state-specific, federal, and even personal use. Forms are in Word format and are continuously updated to reflect current state laws. Gale LegalForms also includes a law digest, legal questions and answers, and an attorney directory. This resource is provided by the Michigan eLibrary with funding from the Institute of Museum and Library Services.